The Ministry of Foreign Affairs urges all parties involved in the territorial disputes in East China Sea to not hurt the peace and stability in the region. Taiwan's Ministry of Foreign Affairs on Saturday urged all parties involved in territorial disputes in the East China Sea to replace confrontation with dialogue and refrain from unilateral actions that damage peace and stability in the region. 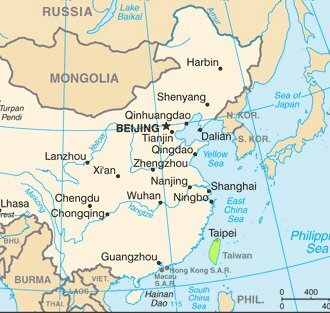 The ministry reiterated, however, that the disputed Diaoyutai Islands, which are called the Senkaku Islands in Japan and Diaoyu Islands in China, are an inherent part of the Republic of China (Taiwan). The call came in response to a Japanese report on June 26 that Japan's defense ministry plans to deploy short-range ballistic missiles on the island of Okinawa to "defend" the disputed archipelago. Taiwan, Japan and China all claim the uninhabited islands, which are currently controlled by Tokyo. Ministry of Foreign Affairs spokeswoman Anna Kao said Saturday that her agency has gathered information on the issue and will monitor the situation. Kao said those involved in the territorial dispute should follow the guidelines laid out in the East China Sea Peace Initiative proposed by President Ma Ying-jeou last August. The initiative calls for all parties to refrain from confrontational actions, shelve controversies and not abandon dialogue, observe international law and resolve disputes through peaceful means, and establish a mechanism for cooperation on exploring and developing resources.